The hint of BBQ smells are starting to grace our evenings and it’s getting us excited about outdoor entertaining. 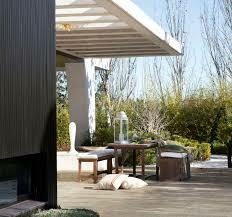 The outdoor area is an important part of any home, it should feel like an extension of your interior design. It is a functional place for gathering with family and friends, relaxing after a long day, and entertaining on weekends. By incorporating beautiful, long-lasting outdoor porcelain tiles and pavers, you can add vibrancy and personality to your important space. 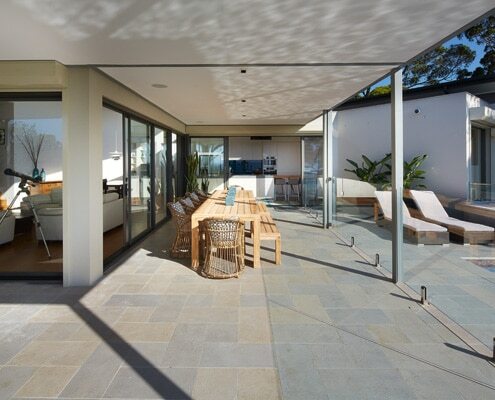 If you are after stylish and safe exterior surfaces that don’t fade with the strong kiwi sun, stain with that red wine spill or crack with harsh frosts, then porcelain tiles and pavers are the perfect fit for you. 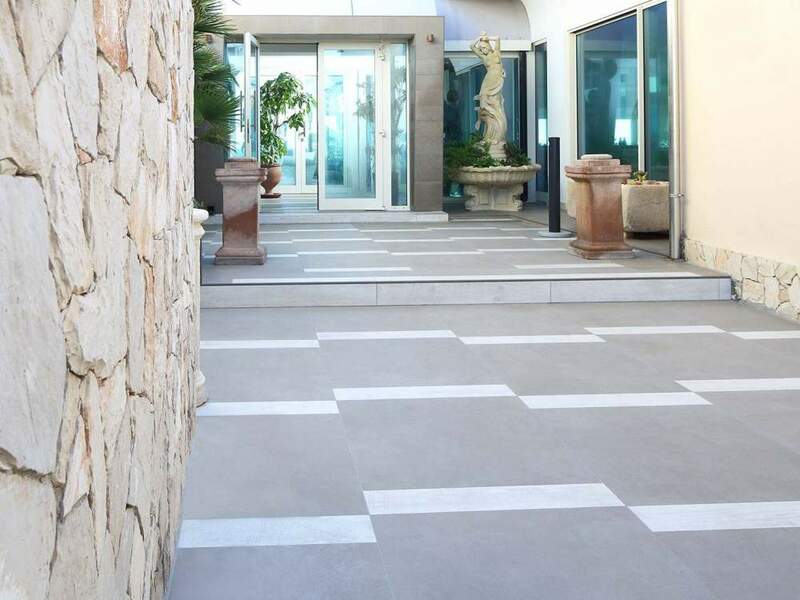 See below the different ways that porcelain tiles and pavers can be applied to the exterior of your home whether it be a grand welcoming entrance, secluded garden room, outdoor fireplaces, stylish apartment balconies, relaxing pool settings or modern exterior cladding there are tiles in our showroom perfect for you. 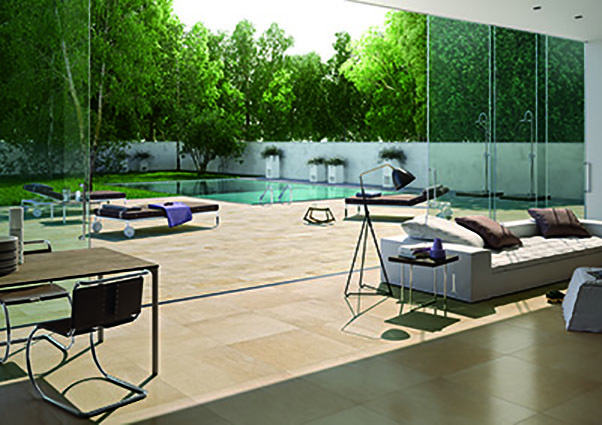 Porcelain tiles enhance the beauty of your pool area, if you are after a specific look and feel then porcelain tiles give you a great selection to choose from. 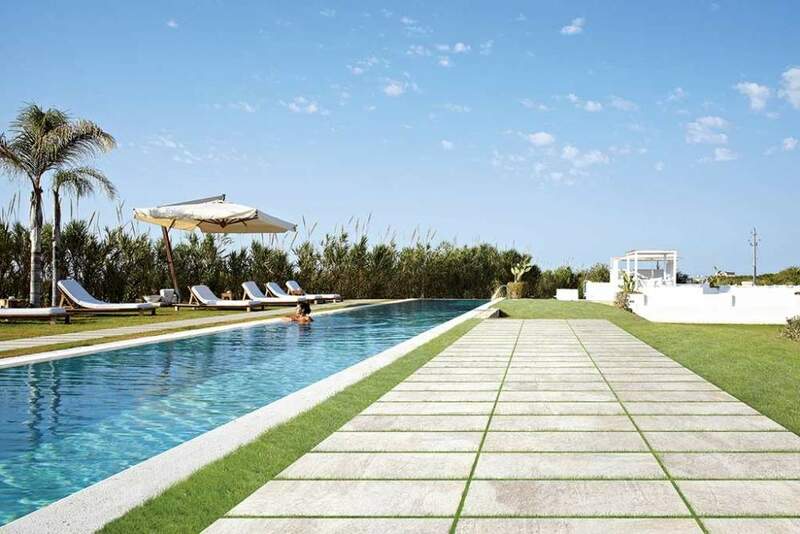 Quality tiles are a low maintenance choice that are specified not to grow moss or gather slime so no nasty chemicals are needed to clean.They are designed and tested to be non-slip so therefore are a safe surface perfect for pool surrounds, steps and pool interiors. 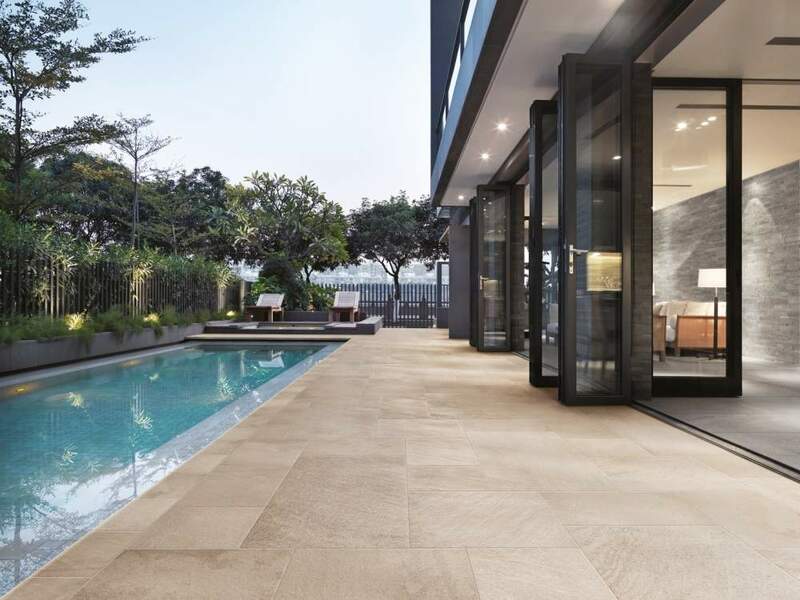 The latest porcelain pavers deliver a multitude of styles and sizes to enhance your exterior surface, they are easy to install and can be laid straight onto hardfill just like other pavers. 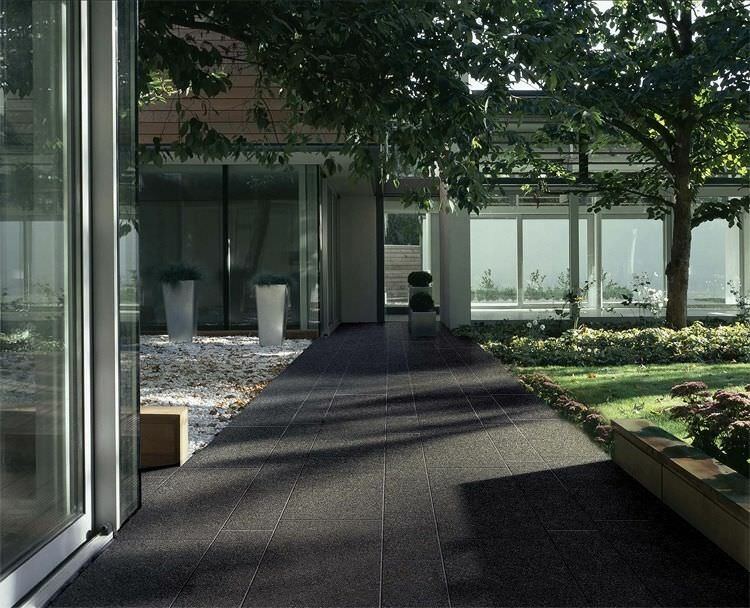 Quality porcelain pavers are easy to clean, are stain, UV resistant and manufactured to withstand our changeable climate. 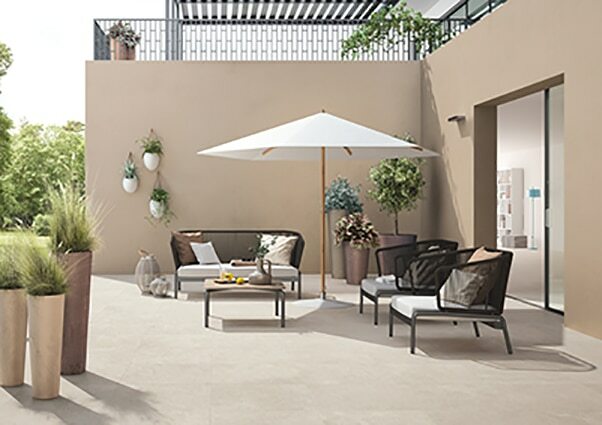 At surfacedesign many porcelain tiles come as part of a tile family so you can match your indoor tile perfectly to your exterior patio or tiled deck. 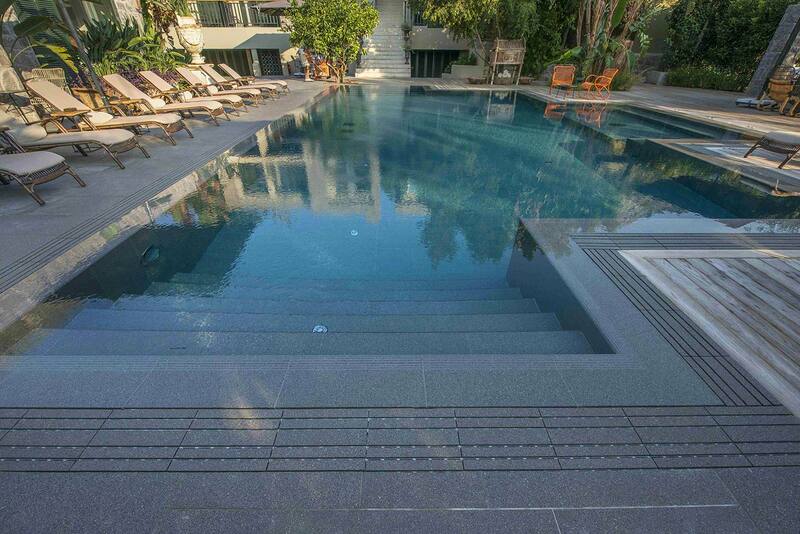 The style, colour and grouting lines can match, the only difference with the exterior tiles is the non-slip surface. This seamless transition creates flow and a wonderful sense of space. 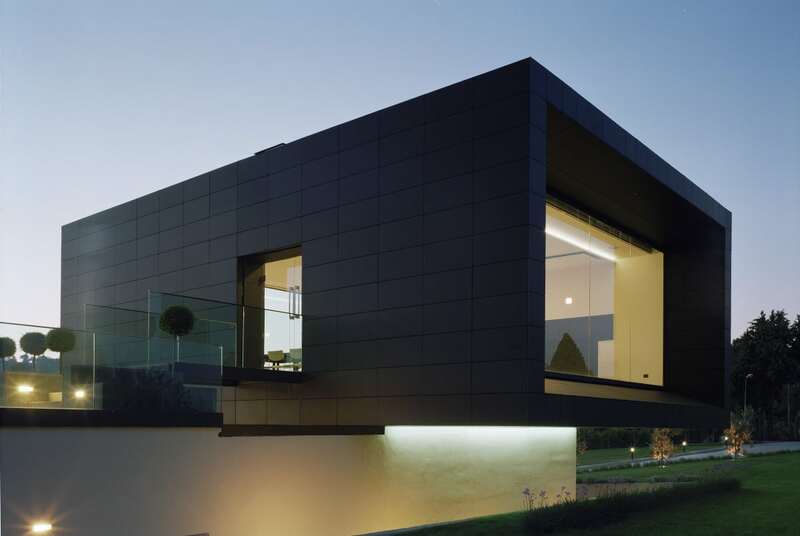 Large porcelain cladding slabs can create bold monolithic, metallic to a natural stone look on the exterior of your home giving you more variety than ever before. 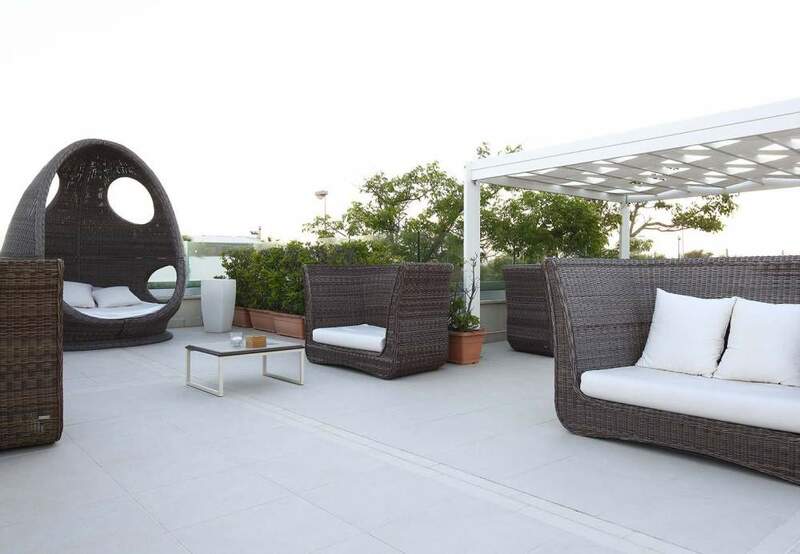 They look great installed over an entire home exterior or just in specific areas such as: a special feature wall, an outside room or to re-model concrete block exterior walls. Their ease of application, low maintenance and durability against harsh climate conditions makes them a long-term ,cost-effective option. 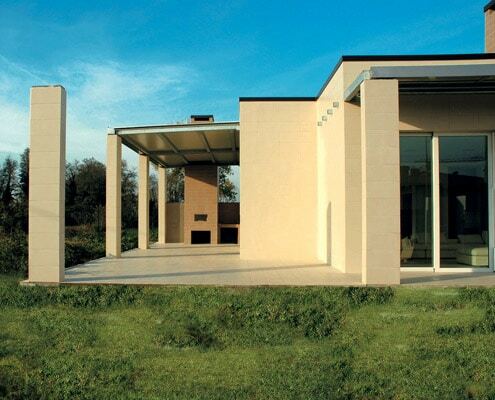 Porcelain cladding is a stylish choice for future proofing your home exterior.